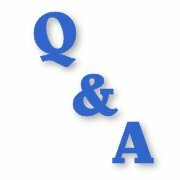 My question is about table tennis paddles. Is it legal to use a sandpaper covered paddle? Can you tell me what the rules say about sandpaper table tennis paddles. 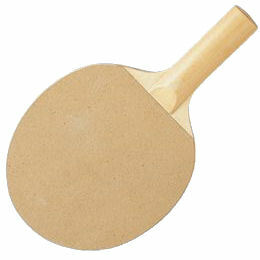 Generally, it is NOT legal to use a sandpaper covered table tennis paddle, but it depends on the rules of the competition you are taking part in. The International Table Tennis Federation (ITTF) is the governing body for the sport of table tennis and they establish and maintain the official rules of table tennis, or to give them their correct title - the Laws of Table Tennis, together with additional Regulations for International competitions. 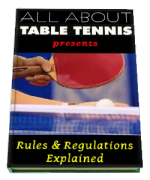 The ITTF Laws of Table Tennis and the additional Regulations also form the basis for all organised table tennis around the world, so it is these Laws and Regulations which I explain and discuss here on my web site. The official name for a paddle is a racket (although some people refer to it as a paddle or a bat). 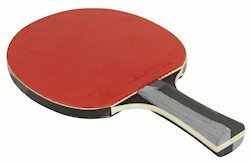 A table tennis racket is made up of two distinct parts - a wooden blade which incorporates the handle, and table tennis rubbers which are affixed to each side of the blade. The Laws of Table Tennis state that a side of the blade used for striking the ball has to be covered with either ordinary pimpled rubber, with pimples outwards having a total thickness including adhesive of not more than 2.0mm, or sandwich rubber, with pimples inwards or outwards, having a total thickness including adhesive of not more than 4.0mm. The Laws of Table Tennis also state that the surface of the rubber must be matt, bright red on one side and black on the other. The Regulations then go on to state that only covering materials authorised by the ITTF can be used in authorised table tennis events. So, as sandpaper does not meet those criteria, it is not legal to use it in ITTF table tennis events or any other events which use the same Laws and Regulations. In certain situations, sandpaper covered table tennis rackets may be allowed. The ITTF is made up of affiliated table tennis organisations, generally known as National Associations - for example, England, USA, China etc. National Associations generally adopt the full ITTF Laws and Regulations for all table tennis events which they control in their own country, but they are also permitted to adopt different rules FOR SPECIFIC EVENTS IN THEIR OWN COUNTRY - for example, so that they can organise competitions where only hardbat or sandpaper rackets can be used. So, in some countries there may be specific events where sandpaper rackets are permitted, but these are only for specific events where different rules are being used. For example the USA Table Tennis Association have hardbat events and sandpaper racket events within their National Championships (but these are in addition to the main event - where sandpaper rackets are NOT permitted). There are also experimental events organised by companies who are not connected to the ITTF. One well publicised event has been the "World Championship of Ping Pong" which was held in Las Vegas, USA in February 2011 and again in London, England in January 2013, 2014, 2015, 2016, 2017, 2018 and 2019. This event uses sandpaper rackets and different rules to the ITTF. The sandpaper rackets are provided by the organiser and given to the players shortly before the event starts. This event is organised by Matchroom Sports solely for television and, following a legal battle in the USA in 2011/2012 over copyright issues (with the ITTF for using the title "World Championship" and the US owners of the trademark "Ping Pong"), they reached an agreement and were allowed to use the title "World Championship of Ping Pong". However, Matchroom Sports are not part of the ITTF and are well known for challenging the established way of promoting sport. Of course the purpose of playing table tennis for most people is to have FUN, so if you're just playing with your friends, you can make up whatever rules you want.